Vastu shastra is the ancient study of the science of designing a house with respect to its architecture and construction. The science focuses on the proper layout of the design, measurements, spatial arrangement and geometry. Vastu is derived from traditional Hindu and Buddhist beliefs of integrating nature and its patterns to make optimum use of the space to have maximum health and other benefits of life. One comes across many vastu sites online that claims of maximum benefits and knowledge, but very few are actually genuine with the true knowledge of this beautiful art. One of the most reliable and trusted website that deals with the vastu shastra for the home entrances in USA is www.pritijosi.net, that explains and justifies each of its Vastu tips that would benefit your home and life immensely. 1)	Bhumi pujan/ prayers offered to the land is the most essential of the vastu tips that one needs to adhere in order to have hassle free and fruitful life on the particular piece of land. 2)	East facing house is considered as most auspicious as the morning sun rays fall first on the door blessing it with eternal joy and love. Although the website also has solutions for other directions facing houses that would make them auspicious for dwelling. 3)	Avoid a main door facing deserted sites as they bring bad influence and luck to the people residing in the house. 4)	Try not to have a pillar or a wall blocking the main entrance to the house it generally obstructs the good luck coming to the house. 5)	Have separate entry and exit doors to the house if possible to let some fresh air seep in to refresh and rejuvenate the home and its members. Basic vastu is all about making your home comfortable as well as a dwelling place for good luck and fortune for all its residents. It should always be remembered that the entrance door is the biggest door in the house and all good or bad things come inside through it, so a few precautions will only help in making a life worth living in the house. Try to keep a door that opens outside and in a clockwise direction for maximum good influences and for safety reasons as well. The guru also mentions that the plot facing road is a good omen since it gives easy access to blessings for the house and its members. Also, try to have a main gate and the main door facing the same side as it is easier for people to come in rather than having both in opposite direction. Plan your house well with the help of few vastu tips and see the happiness and fortune find the way to your door steps instantly!! Vastu Shastra is the study of understanding importance and taking advantage of the gravitational effects, magnetic field, rainfall, directions and the whole of universe. This study empowers to take the blessings of nature and inject positivity along with wealth into our lives without making any structural changes to your place. Bedroom is the place where you give out all your negative energies and relax your body, mind and soul. Therefore it needs to be taken due care whether the bedroom is aptly arranged. Here are some tips. 1. It should contain a window to keep it properly ventilated placed in south west direction. 2. Do not install television in your bedroom as it is believed that it brings bad omen. 3. Avoid keeping any water based plant in your sleeping room. Same way avoid other water features such as aquarium, fountains or a pool in your room so that your room remains waterproof. Water is believed to flow away the positivity out of our home. 4. While sleeping your head should be towards east or south. The sun rises from east and thus every day your life gets a new start, to achieve this objective east direction is designated. 5. Some people spread a two single mattresses and bed sheets on their double beds. The Vastu tips home advices that separate mattresses and bed sheets should not be used as it can lead to unnecessary conflicts and give birth to differences in relationships. Drawing room is the common room in home and is meant for entertaining guests, watching television together which is usually furnished with stylish furniture, bookshelves, television and other equipment for decoration. This room has a lot to say except for formal and casual entertainment. Take a look. 1. The sunlight should enlighten the drawing room every morning and thus it should be facing either towards north or east direction. 2. The south and west directions signify the handling of heavy weight element. Therefore heavy furniture i.e., sofa sets, crockery cupboards and tables should be towards south, west or southwest direction. 3. Indian Vastu believes a lot in inscribing the portraits of God in the drawing room. The figures or portraits of Christ or any supreme power in which you have faith can be hung in northeast corner of your room. 4. Waterfalls or any water figure or show piece can be installed in northeast and the stuffed toys should be kept opposite to it in northwest direction. 5. The color of the drawing room should not be red or black as red is the symbol of anger and black denotes gloominess. Thus it should be colored with light shades. These Vastu home tips show that how each and every placement of things affects your lives too much. Indian Vastu Shastra believes that the walls, floor and corners of your house have potential to enlighten your lives. So if you want your home to exude positive energy then it is necessary that your inner positive energy should influence your surroundings. The word Shastra in Vastu Shastra means something having a holy connection. It is believed that one should pay attention towards the vastu shilp which means what should be where. Vastu is a study of such knowledgeable and experienced as well as well tested architectural strategies which have gravitationally attracted a lot of people towards it. Vastu is there for different areas of your residence and workplace. Kitchen is the centric portion of the home. It is considered as a divine place in Indian religion. It is the kitchen which is source of injecting the energy into each and every member of the house. 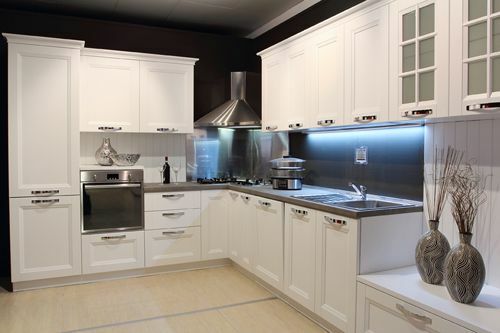 Therefore every placement in kitchen should be done so as to spread positive energy in the premises. Here are some of the tips which can help you. a. The gas connection and the water source should be parallel. b. Cutlery and crockery should be adequately placed. c. Drainage system of the kitchen should be well planned. 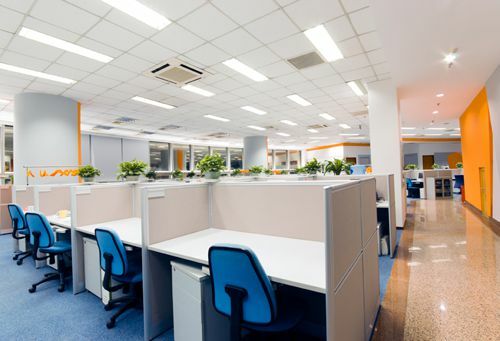 Office is a workplace from where the owner expects for wealth and prosperity. Therefore it is important that its architecture should be balanced and positive. It should be offering comfort and enthusiasm to all the workers. While getting your office design, some of the features are to be kept in mind to keep it prosperous from Vastu’s point of view. Here are some. e. Floor or area distribution for the pantry, restrooms, washrooms, windows etc. These are some of the highlights which are taken care of while designing the interiors as well as exteriors of the office. The expertise service in this area is provided by http://www.pritijoshi.net/ . Condominium refers to the apartments also known as condos. They are the flats of various measurements in single building. 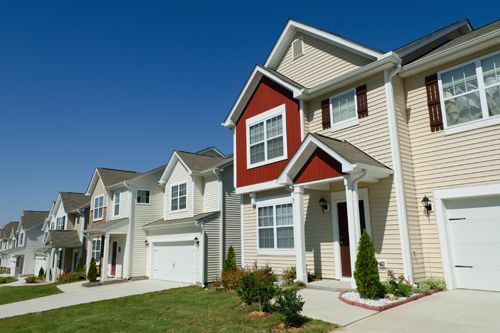 The condos are both budget and space friendly and therefore they are well in trend in USA. Owing to the increasing popularity of vastu among the crowd the builders of these structures prefer a well-crafted vastu advice. Not only it increases the value of the property but also bring omens to the residents. Here are some of the vastu parameters beneficial for condos. a. Location of gates and stairs plays a very vital role in the buildings. b. No. of lifts and direction of lifts also contributes towards it. c. The watchman apartment should be prepared with care so as to harmonize the relation between residents and watchmen. e. The vastu kitchen towards southwest in apartment is believed to bring goodness into the house.